For an overview of the new user and developer features, see the Android 3.0 Platform Highlights. More accurate rendering of layouts to more faithfully reflect how the layout will look on devices, including rendering status and title bars to more accurately reflect screen space actually available to applications. Selection-sensitive action bars to manipulate View properties. Zoom improvements (fit to view, persistent scale, keyboard access) (details). Improved support for <merge> layouts, as well as layouts with gesture overlays. Tools for using the Renderscript graphics engine: the SDK tools now compiles .rs files into Java Programming Language files and native bytecode. 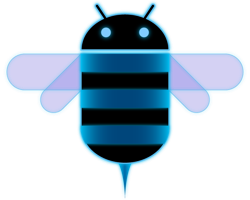 To get started developing or testing applications on Android 3.0, visit the Android Developers site for information about the Android 3.0 platform, the SDK Tools, and the ADT Plugin. Today, we are releasing a preview of the Android 3.0 SDK, with non-final APIs and system image, to allow developers to start testing their existing applications on the tablet form-factor and begin getting familiar with the new UI patterns, APIs, and capabilties that will be available in Android 3.0. For an complete overview of the new user and developer features, see the Android 3.0 Platform Highlights. Improved drag-and-drop in the editor, with better support for included layouts. In-editor preview of objects animated with the new animation framework. Visualization of UI based on any version of the platform. independent of project target. Improved rendering, with better support for custom views. To find out how to get started developing or testing applications using the Android 3.0 Preview SDK, see the Preview SDK Introduction. Details about the changes in the latest versions of the tools are available on the SDK Tools, the ADT Plugin, and NDK pages on the site. Note that applications developed with the Android 3.0 Platform Preview cannot be published on Android Market. We’ll be releasing a final SDK in the weeks ahead that you can use to build and publish applications for Android 3.0.